We just learned about the Saint Elias Mountains in Alaska. Most of the mountain ranges we've learned about have been in Asia, as those are the highest mountains in the world. 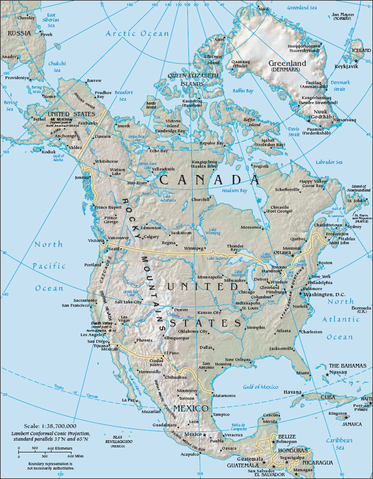 In North America, there are mountain ranges that are part of a group of mountain ranges. The word cordillera means a group of different mountain ranges. The North American Cordillera is a group of five different areas called belts that all have mountain ranges in them.